You’d be hard pressed to find a more delicious way to use up over-ripe bananas. 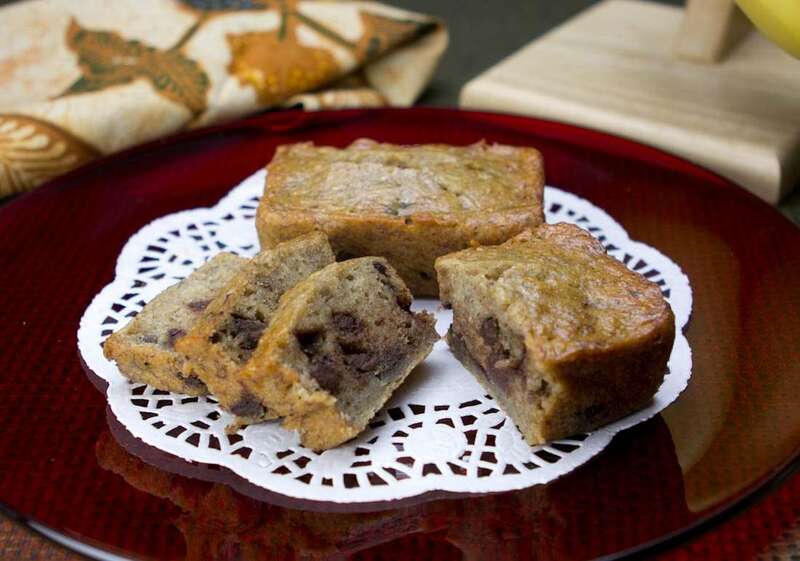 I love the sweet-tart cranberries nestled amid the moist sweet banana flavored cake of this recipe, but you could also substitute chocolate chips (pictured below) or chopped nuts. Or mix and match. 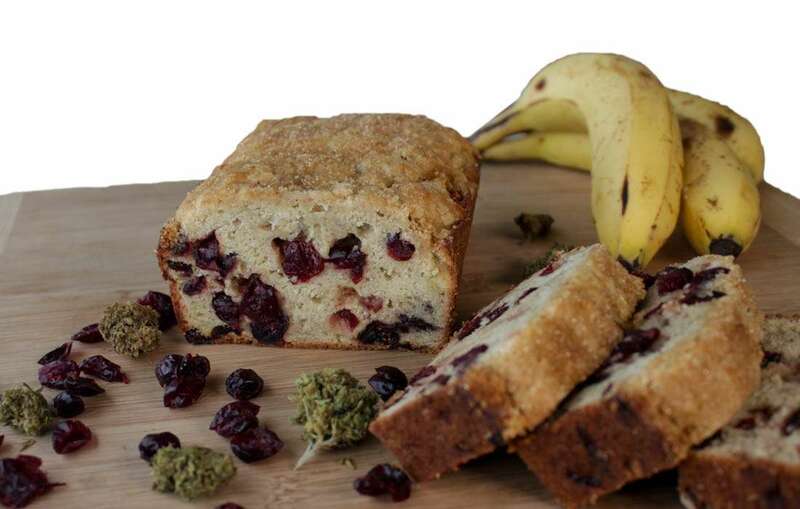 This marijuana banana bread is also delicious without any mix-ins at all. You can use this recipe to make 1 large banana bread, baked in a 9X5X3-inch loaf pan. Alternately it can make 16 banana bread “muffins” (in 16 muffin-tin cups). I’ve based the dosing information below based on one large loaf cut into 10 pieces, so adjust downward if you make muffins. 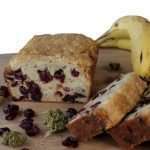 Wrap baked marijuana banana bread, either whole or in individual portions, in plastic wrap and store in the freezer for up to 3 months. Bring to room temperature or heat in a toaster oven and enjoy. Each of the 10 slices of banana bread in this recipe will have about 30 mg THC per slice IF you made your marijuana butter from average cannabis (10% THC) and used 1/2 ounce of marijuana to make 1 cup butter. 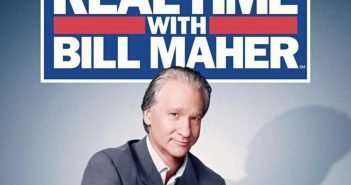 To adjust the dosage for your personal needs and to reflect the strength of the marijuana you are cooking with and the amounts you used to make your butter, be sure to take my FREE 10 minute online Dosing Course that will teach you how to use the handy dosage calculator tool included with the class. Preheat oven to 350°F. Grease a 9x5" loaf pan with butter and dust with flour, tapping out any excess. Mix together flour, baking powder, baking soda, nutmeg, and salt in a small bowl. Set aside. Combine mashed bananas, sour cream or yogurt, and vanilla in a medium bowl. Set aside. Using an electric mixer, beat cannabis butter, butter and brown sugar until light and fluffy, about 2 minutes. Beat in eggs one at a time until fully combined. 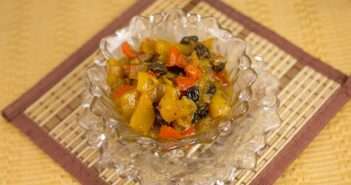 Add banana mixture and beat until just combined, about 30 seconds. Add dry ingredients in 2 batches, stopping to scrape down sides of bowl as necessary, until fully incorporated. Batter will be thick. Fold in mix-ins, if using. Transfer batter to prepared loaf pan smoothing out the top with a spatula. Bake for about an hour, rotating halfway through, until top is deep brown and starting to crack, sides are starting to pull away from pan, and a tester inserted into center of bread comes out clean (except for melted chocolate, if using). Cool in pan on a wire rack for 15 minutes before running a butter knife around the edges to loosen then inverting onto a serving plate. Let cool completely before slicing…if you can hold out that long.